Intermediate Exams Pack Set 1 & 2 include Four Exams in each Workbook and Matching Answer Book, Plus Exam Requirements and UMT Tips for Exam Success! Intermediate Exam Pack Set 1 & 2 has been added successfully to your wishlist. 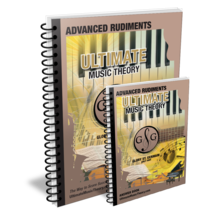 The UMT Intermediate Exam Pack - includes Set 1 & 2 Intermediate Rudiments Practice Exams. Both exam books and matching answer books. 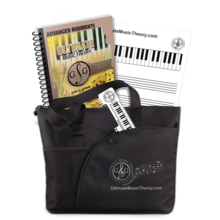 Advanced Student Pack has been added successfully to your wishlist. Advanced Workbook & Answers has been added successfully to your wishlist. 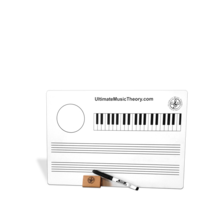 Small Music Whiteboard has been added successfully to your wishlist.